What are the system requirements for Fallout 76? Bethesda’s next entry into the Fallout series isn’t set to be a walk in the park. No, the highly-irradiated, post-nuclear, wasteland of West Virginia will be a little more challenging – and the same goes for playing Fallout 76 on your gaming PC at ultra settings. The landscape of Fallout 76 has been devastated by nuclear warfare only a short time ago, but those thrifty survivors can make just about anything out of the garbage they find lying around. As such, the open and online world of Fallout 76 is set to be filled with heaps of complex objects that require rendering, shading, and lighting simultaneously. That’s no easy task for your graphics card. There’s also the small issue of Fallout 76’s endgame, which essentially involves blowing other players to smithereens with catastrophic nuclear weapons. Now, if we know anything about performance in previous smash-hit Bethesda titles, when multiple objects explode at once there’s a risk of stutters and fps drops on entry level and ageing gaming PCs. Even high-end graphics cards aren’t entirely safe from these symptoms. Nevertheless, there’s still hope for budget gaming PCs yet. Fallout 76 is built upon the same game engine Bethesda has utilised for its eternally popular titles, The Elder Scrolls V: Skyrim and Fallout 4. That’s the Creation Engine – Bethesda’s own game engine spun-off from the Gamebryo engine used in games such as Fallout 3 and The Elder Scrolls IV: Oblivion. While this engine can be pretty demanding when turned up to 11, it’s actually rather forgiving for ageing GPUs when it comes to low and medium graphics settings. Fallout 76 is going to have a public B.E.T.A (Break it Early Test Application) in October. While you’ll need to pre-order the game for a ticket to the early access session, there’s still no better chance to test out performance and see if your PC is up to Fallout 76’s system requirements than actually running the game on your PC. Take, for example, the Nintendo Switch version of Skyrim. The RPG was ported over to Nintendo’s handheld incredibly well, even with only a Nvidia Tegra X1 chip keeping the whole system ticking over. Nvidia’s Tegra X1 features a Maxwell GPU with just 256 CUDA cores running at 1GHz. If this tiny chip, intended for relatively low-demand mobile workloads, can run Skyrim with ease, then Fallout 76 shouldn’t be any issue for most discrete Nvidia Maxwell GPUs / AMD R9 200-series and above. Fallout 76 will be bringing with it some tweaks to the Creation Engine’s successful recipe, though. 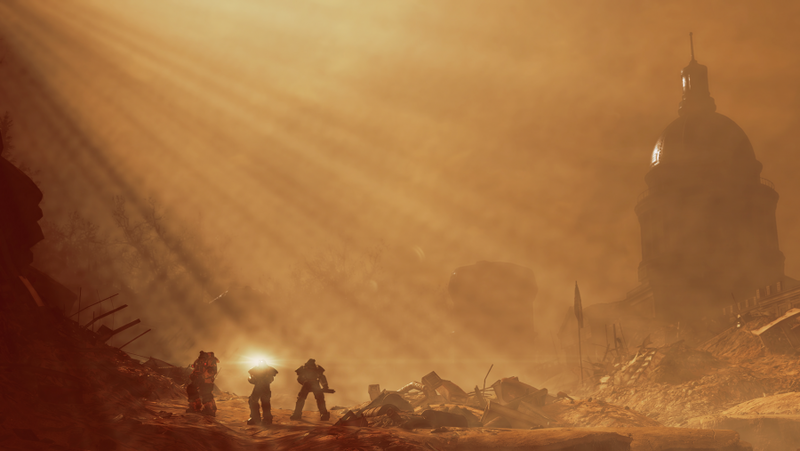 New tech for rendering, lighting, and landscaping (blowing the map to bits) will be included in Fallout 76, and we don’t know how big of an impact these changes will have on performance until at least the game’s PC beta goes live. Bethesda has finally provided its minimum and recommended specs for Fallout 76, and they’re somewhat more intense that for the similar game world of Fallout 4 – at least on the CPU side. 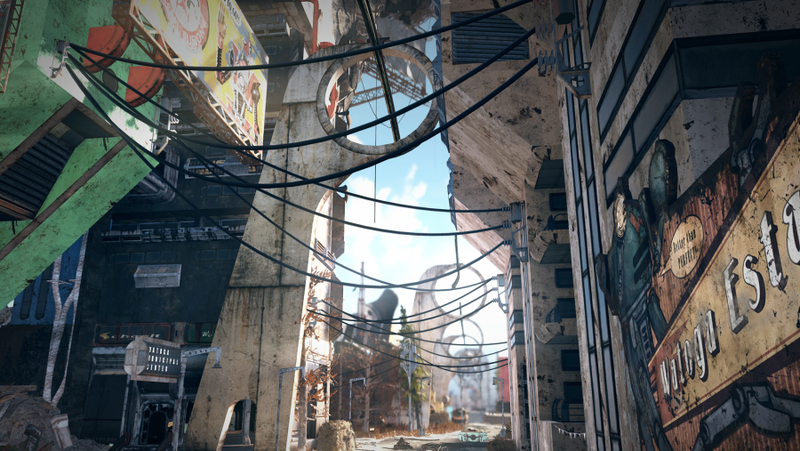 The four-core / four-thread Sandy Bridge Intel i5 2300 is enough to keep Fallout 4 chugging along, but that won’t do for Fallout 76. On the Intel side, Bethesda’s upped the minimum requirement to an i7, indicating that the online vision for Fallout will be a bit more demanding on your CPU, though thankfully the GPU requirements remain fairly relaxed. If you plan on bumping up the graphical fidelity and playing Fallout 76 as is intended, you’ll need to buff your graphics card for the job, though there’s not much wiggle room for the CPU between low and top-end configurations. Intel’s Haswell i7 4790 CPU features four cores clocked at 3.6GHz, and boosts up to 4GHz. With hyperthreading enabled for a total of eight threads, this chip should be more than capable of keeping up with your graphics card. 16GB of system memory wouldn’t go amiss, either. If you want to run Fallout 76 at high graphics settings and still retain an acceptable fps, you’ll need a Nvidia GTX 1060 3GB or RX 570 4GB. These cards shouldn’t fall to pieces when the bombs drop. 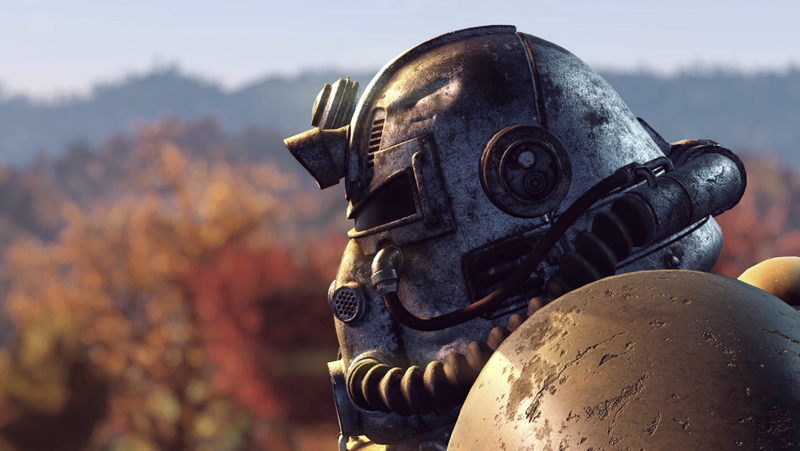 If your gaming PC doesn’t meet Fallout 76’s system requirements, all is not lost. Before you go out and buy a new graphics card, you can try turning off some of the most demanding in-game settings in an attempt to reach a stable 30fps. Shadows are one of the most demanding in-game settings your PC has to deal with. While it might seem a black splodge might be easy for your GPU, turning shadows off entirely can save precious frames. Reflections are another of the worst performance bugbears out there. 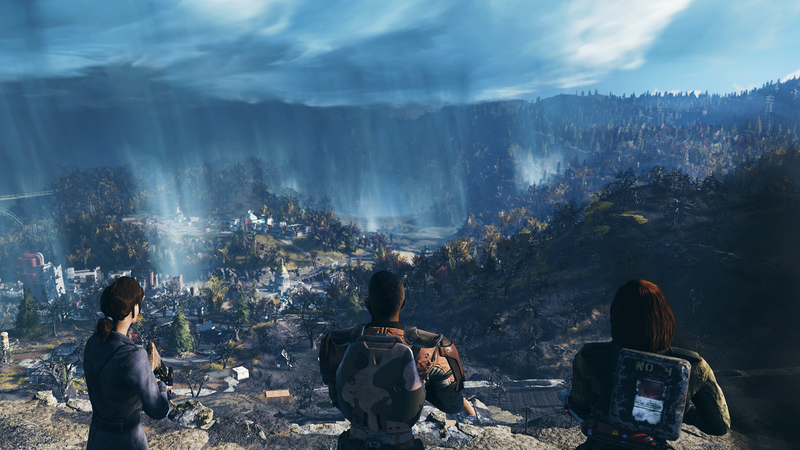 While reflections really add to a game’s verisimilitude, creating dynamic reflections throughout the world of Fallout 76 will be no easy task for your GPU. Turning off reflections should noticeably improve Fallout 76 performance. Most games support more than one type of anti-aliasing – the process of removing jagged lines – and some of these AA techniques are far more demanding than others. The least demanding setting is to just turn AA off entirely, but if that’s just too horrendous to look at, FXAA is a fairly low-overhead option that should improve Fallout 76 performance.